The Republican National Committee voted on Friday to refuse to partner with CNN or NBC on 2016 GOP primary debates if those networks move ahead with planned films about Hillary Clinton - projects that the RNC described as "little more than extended commercials" promoting the former secretary of state's potential presidential candidacy. 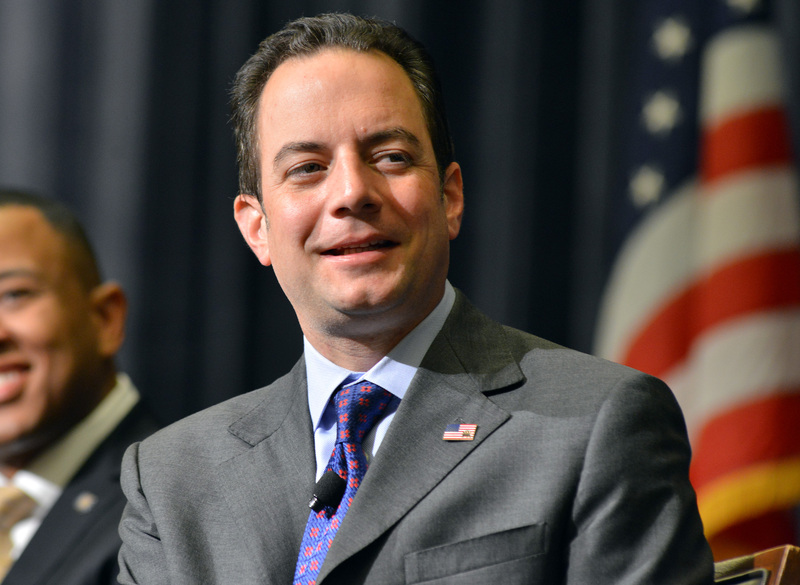 The resolution, which passed unanimously during the RNC's summer meeting in Boston, marked the culmination of weeks of threats from party chairman Reince Priebus, who wrote a letter to NBC and CNN earlier this month deriding the planned films as a "thinly veiled attempt at putting a thumb on the scale of the 2016 presidential election." "It's appalling to know executives at major networks like NBC and CNN who have donated to Democrats and Hillary Clinton have taken it upon themselves to be Hillary Clinton's campaign operatives," Priebus later said in a statement. "I hope Americans will question the credibility of these networks and that NBC and CNN will reconsider their partisan actions and cancel these political ads masked as unbiased entertainment." Friday's resolution again called on NBC and CNN to reevaluate their programming and reiterated the RNC's boycott threat. "If CNN and NBC continue to move forward with this and other such programming, the Republican National Committee will neither partner with these networks in the 2016 presidential primary debates nor sanction any primary debates they sponsor," it read. CNN is planning a documentary about Clinton's life and career, while NBC's project is a scripted miniseries. Representatives from both networks have said the projects will not color their news coverage of Clinton's potential candidacy. NBC News Political Director Chuck Todd emphasized that his network's news division has "nothing to do with" the miniseries project, which is being spearheaded by the network's entertainment division, but he acknowledged that many people will not see the distinction. "This is why this miniseries is a total nightmare for NBC News," Todd said on MSNBC last week. "No matter what, only we are going to own it, because people are going to see the peacock, and they see NBC, and they see NBC News, and they think, 'Well, they can't be that separate.'" The RNC's warnings embraced the idea that the "liberal media" would bolster Clinton's potential candidacy by presenting an airbrushed version of her history, but there may have been a different motivation behind their decision to more forcefully take hold of the primary debate process. Priebus has previously complained that the 2012 Republican primary debates were too numerous and too fractious, highlighting the party's infighting and pushing candidates to satisfy the concerns of the far-right. The debate circus, he said, marred the GOP's image among voters and made the job of eventual nominee Mitt Romney far more difficult during the general election. "I think our debate calendar needs to be shrunk. I think we had way too many debates with our candidates slicing and dicing each other," Priebus said in March on CBS News' "Face the Nation." "I would do one a month. I would have more say over the moderators, more say over the debate partners. I would limit the debate to a reasonable amount." The resolution passed on Friday seemed to allude to those concerns. "The Republican National Committee shall endeavor to bring more order to the primary debates and ensure a reasonable number of debates, appropriate moderators and debate partners are chosen, and that other issues pertaining to the general nature of such debates are addressed," it explained. Democrats have mocked the RNC's gambit as an attempt to protect the GOP from its own worst tendencies. After Priebus made his initial threat, David Plouffe, a former top adviser to President Obama, wrote on Twitter, "Better RNC debate plan. Held in hermetically sealed Fox studio. Avoid exposing swing voters to Crazy S*#t My Nominee Says."